What a wonderful way to commemorate a special moment or honor a memory of a someone. 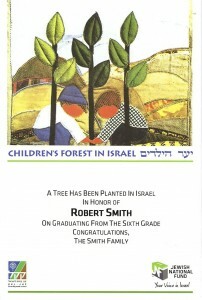 Planting a tree in Israel is the perfect way to show you care. 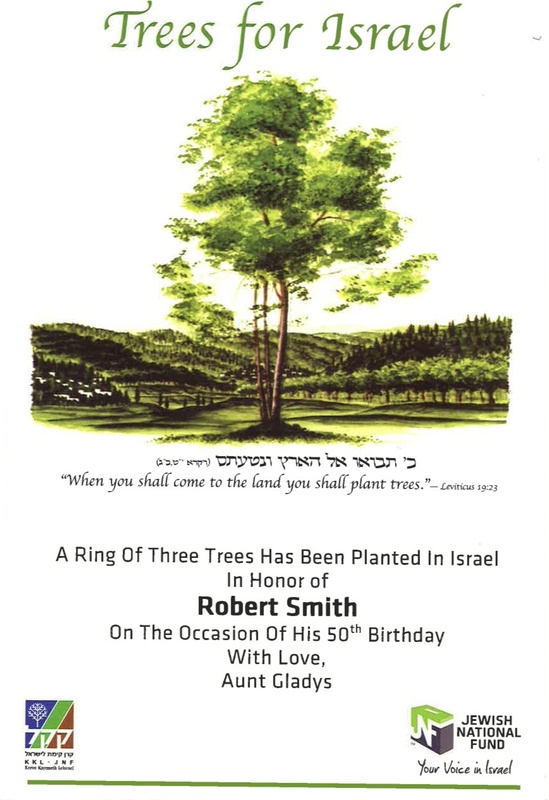 You can plant trees for many different reasons and help green the land of Israel while sending a special gift to a friend or loved one. 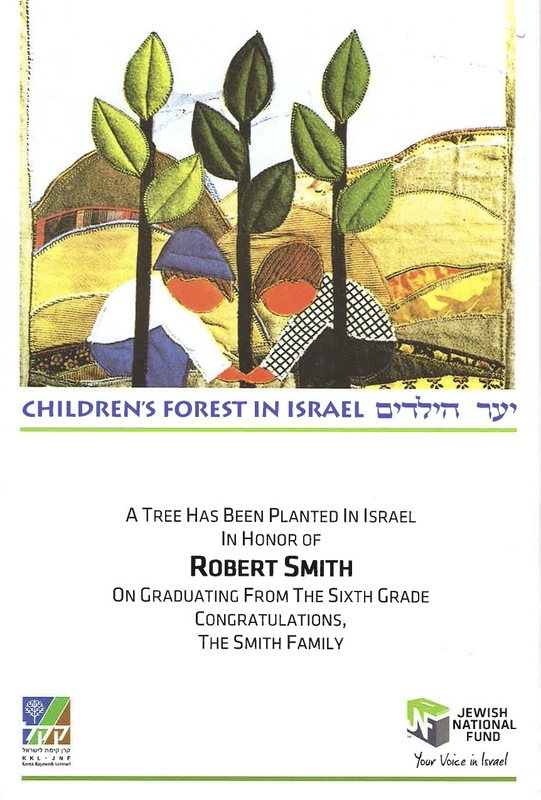 For each order, a beautiful certificate of your choice is mailed to the recipient with your own personal message. 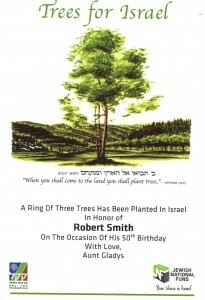 Plant trees for all occasions to let someone you know you care about them and Israel! 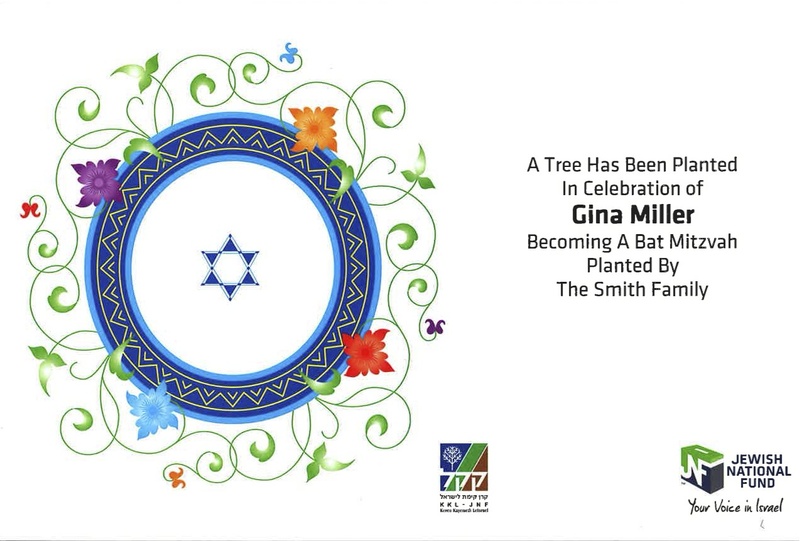 Over the last 100 years, JNF has planted over 250 million trees in the land of Israel. Please fill out the form below and submit. A confirmation email will be sent. Trees are $18 for 1 tree, $36 for 3 trees on 1 certificate or $72 for 5 trees on 1 certificate.